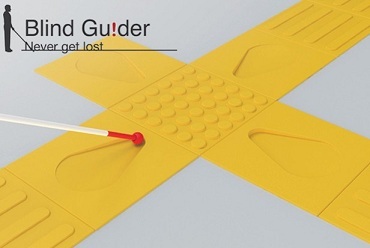 Tactile designs are one way to assist the blind, but a new system called Blind Guider, would also make use of RFID-embedded street tiles to help people navigate the city streets. 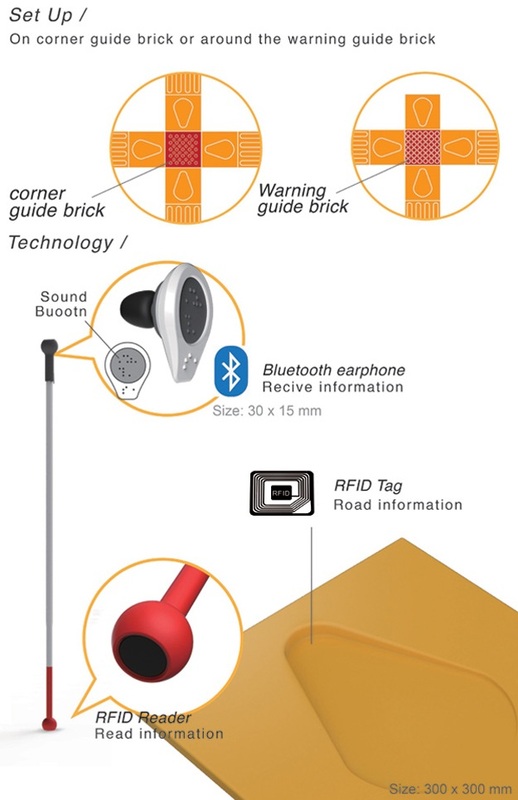 Each of the yellow intersection markers would contain information about specific street names, and local directions, which a sensor-enabled cane would transmit to a bluetooth earpiece. Designed by Jang Cheng, Hui-Chuan Ma, Chih-Hao Wang and Yin-Kai Li, the team proposed thecreation of three types of pavement pads. A lined tile would be used when used to indicate that the road should be followed straight ahead, one that resembles a lego brick, would be used to indicate an intersection, and a descending arrow tile would be embedded with the street names for easy access. For a visual representation of the idea, check out the pictures below. 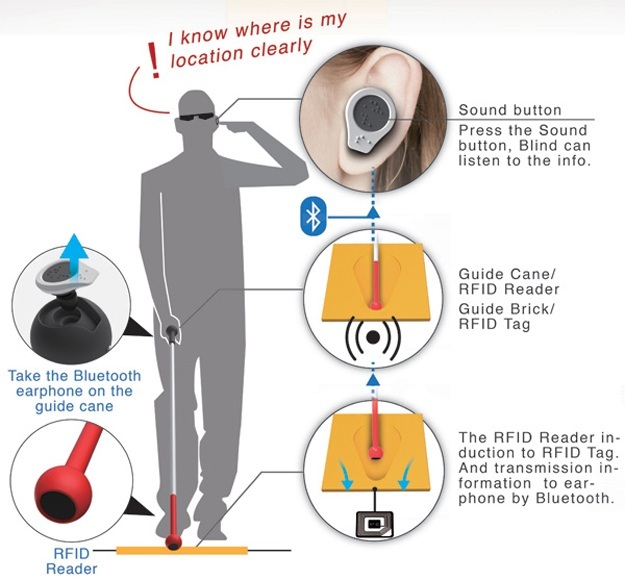 Tags: Blind Guider, Blind People, Navigation, RFID, Visually-Impaired. Bookmark the permalink.